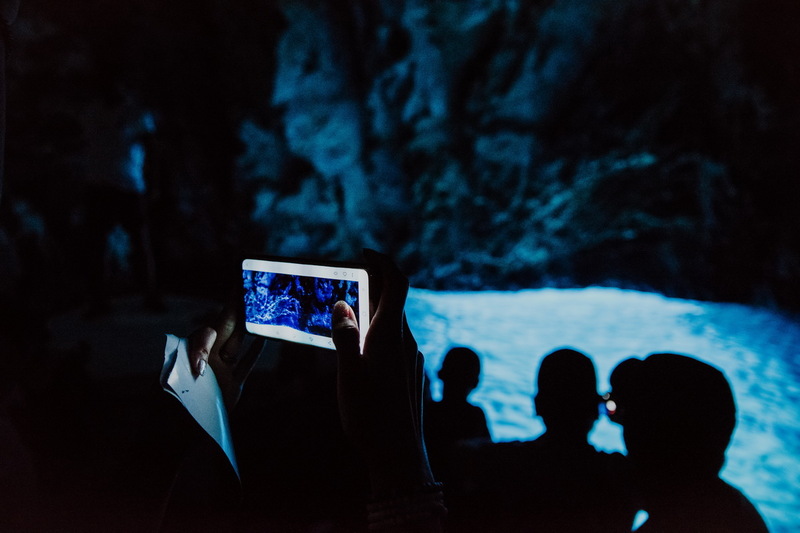 Prepare yourself for a real adventure overload and be sure you will rank this Blue Cave & 5 Island tour on the top of your Split holiday list. 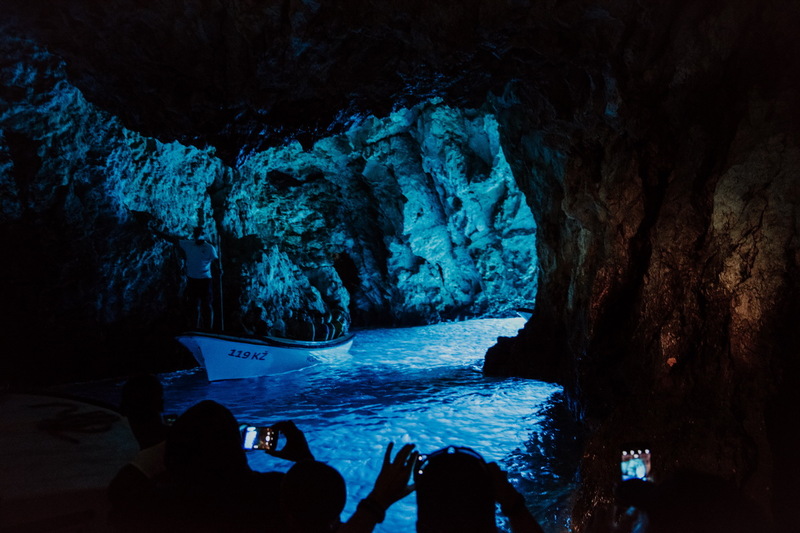 With this tour you will be able to visit most of the ‘Adriatic gems’ and natural phenomena as Blue Cave is. 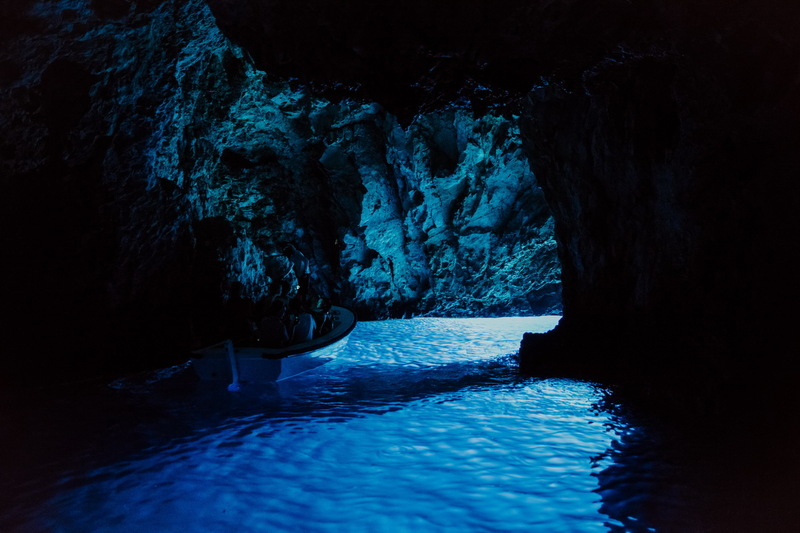 After picking you up at the pre-arranged meeting point we will step on board of our speedboat for a thrilling 90 minute ride to Bisevo Island, best known for its Blue Cave. 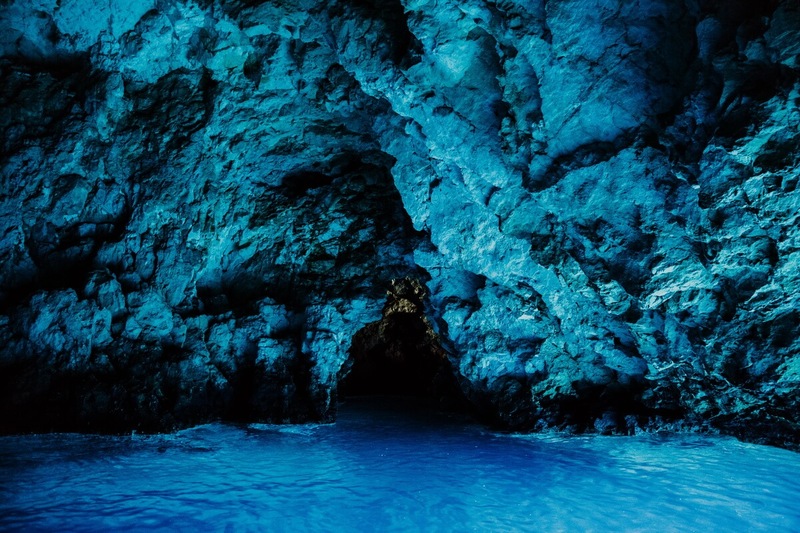 In order to appreciate its ethereal beauty, we will arrive exactly at the time of day when the sunlight reflected through the sea floor, bathes the entire cave in aquamarine light while objects in the water are turning into shimmering silver. Then we will slice through the Adriatic to explore Komiza, a picture-perfect authentic fishing village on the island of Vis. There will be a plenty of time for sightseeing and for having a lunch. 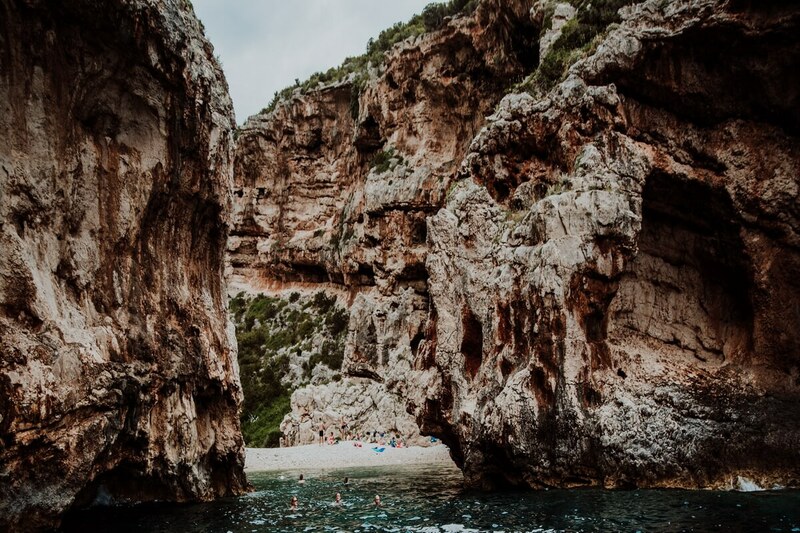 In the late afternoon we will cruise around to the southern side of the island to stop briefly in the unique bay of Stiniva where you can swim in crystal clear sea. Afterwards we will go to the Green Cave on Ravnik Island. When the sun is high, light enters the grotto though a large opening at the top of the cave which creates a dazzling array of silver and green colors. 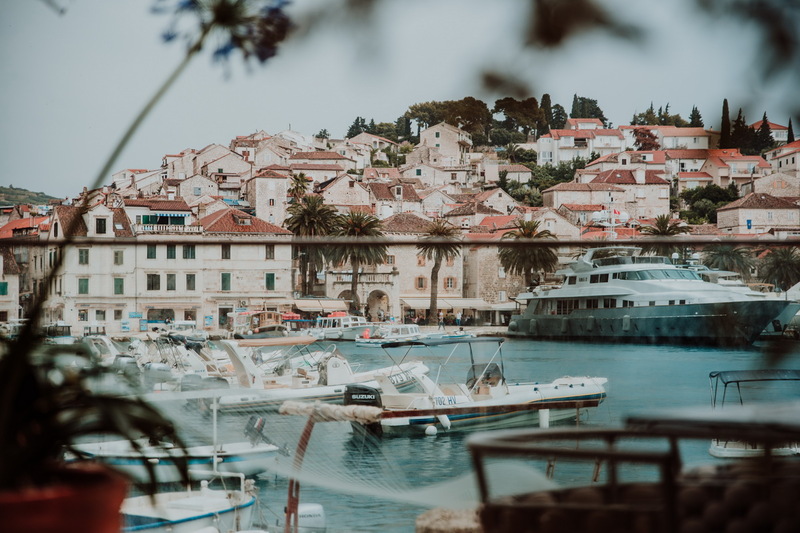 Our next destination is the town of Hvar, one of the most beautiful harbour in the world with rich cultural heritage as well. The easy walk around the town to discover its many charms is a delight. 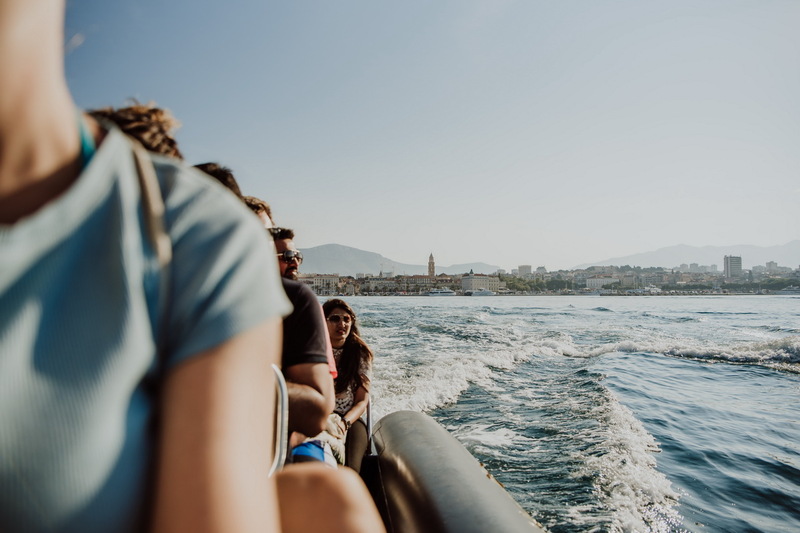 After enjoying Hvar town and maybe having a drink at one of its famous cafes, it’s time to to return to Split via our speedboat. If you wish to book a tour check availability through phone or e-mail. We will answer quickly. NEED HELP IN CHOOSING YOUR TOUR? Leave us your e-mail and someone from our team will contact you as soon as possible!